Some of Jennifer favorite mantras include, “You cannot dwell, you must solve.” She is relentlessly optimistic and facts show that. Jennifer is the founder and CEO of CJP Communications, an international public relations and financial communications consultancy with offices in New York, Connecticut and London. 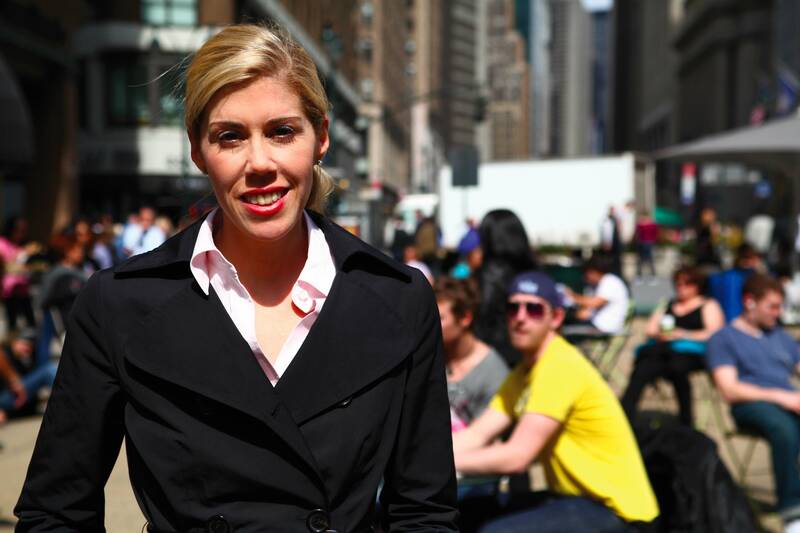 She joined the firm’s precursor, Jacobs Associates after college, became a partner at 25 and ultimately became the sole owner, growing the firm from a tiny Connecticut-based PR agency to an international firm with 60 employees. Jennifer Grew up in Easton, CT, attended Miami University of Ohio and Columbia Business School where she received her MBA. She is a frequent lecturer at leading business schools, including Columbia, and entrepreneurial and business groups. Recent speaking engagements include the Yale Chief Executive Leadership Institute, Forté Foundation, The Royal Bank of Scotland Marketing Summit and British-American Business, Inc. Her company was named an Inc. 5000 Fastest-Growing company, has been recognized as one of the “Top Places to Work in PR” by PR News, and was named “Small Agency of the Year” by The Holmes Report. Prosek was a finalist for the 2010 Ernst & Young Entrepreneur of the Year award. The birth of her daughter in 2007 made her understand that a business woman can also have a private live if supported by a team of talented employees, as she has. 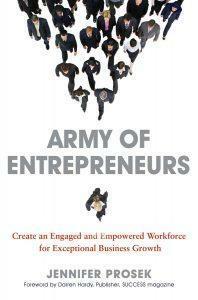 Prosek built the firm using a management strategy she developed called an “Army of Entrepreneurs.” The “Army” model is the subject of her first book, Army of Entrepreneurs™: Create an Engaged and Empowered Workforce for Exceptional Business Growth”, which was published in February 2011. 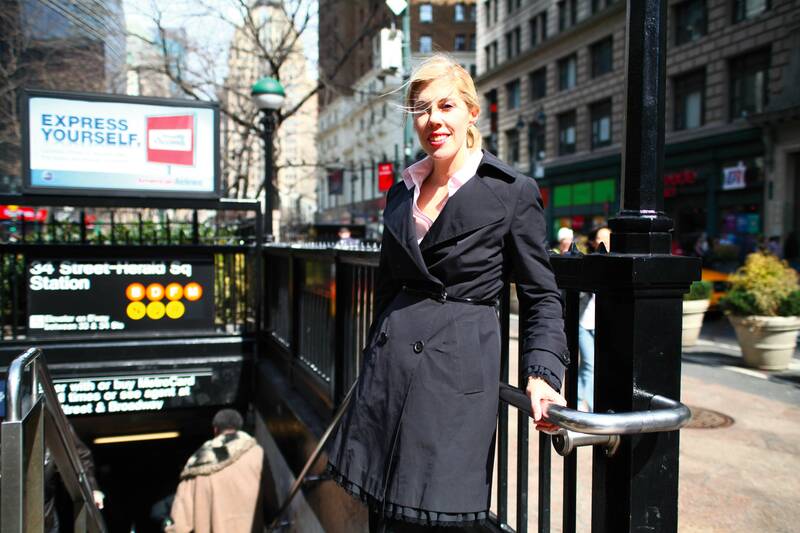 She is also on the board of directors of the New York City Partnership for the Homeless. 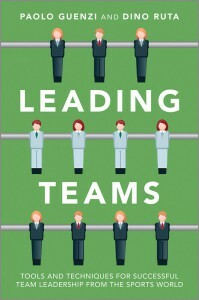 The book offers a timely and tested action plan. Step-by-step, Prosek shows how to recruit, train, motivate, and deploy staff members at all levels to be entrepreneurial in their existing positions. Every step features anecdotes and case studies illustrating how the AOE model works in real-world business situations, plus research and insight from experts in the business community. 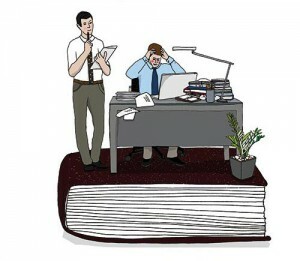 Work Style is a publishing company focusing on the world of work. It provides factual contents that are specific to the everchanging working world. Its products are multicultural and divulged with a multiplatform strategy. Its offer is characterized by editorial products and meeting opportunities. The online shop is the collection point of our editorial products. Here you can purchase all the magazine’s issues, subscribe to our publication or purchase the photographic book Rules and Passion, a journey in the world of the Pure Spanish Horse. Law & Cooking, Rules and Passion and Talks are the first special projects we have worked on. Projects to deepen the passions of the people linked to the world of work, to provide ideas, suggestions on how to live better workplace. As even our events to find similarities between the world of work and sciences.